BlytheLife.com » Interview with Jo (SakuraBlythe) from BlytheCon UK! BlytheCon UK logo, designed by Jamie Watson. BlytheCon UK 2010 is the first BlytheCon being held in Europe and the second BlytheCon being held ever. It’s occurring on October 2nd, 2010 in Oxford, England. There’s an amazing group of organizers behind Blythecon UK and just so much more going on behind the scenes than you may realize. For information on BlytheCon UK and how you can attend, please check out the BlytheCon UK website..
Hi Jo, what can you tell us about yourself and how you discovered Blythe? I am 29 years old, and live in the UK. I live with my husband, our 2 children aged 11 and 8 and our very fluffy cat. I am a Law student. 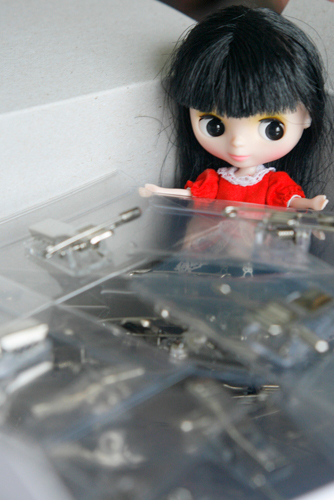 I discovered Blythe just over a year ago in May 2009. I was browsing my favourite Scrapbooking blogs, and saw that Martha Bonneau had posted photos of some new dolls she had just started collecting. At first they did not really interest me, as I had never been into dolls, but I couldn’t stop thinking about them. I went back to her blog over and over again to look at the photos, and look at the links she had posted. Within a few days Blythe had taken over my head and I could think of little else! With Martha’s help and advice soon ordered my first Blythe – a Primadolly Winsome Willow. When she arrived I was almost afraid to touch her she was so special. I named her Mei after the character from My Neighbour Totoro. I think it was the day after she arrived I ordered my 2nd Blythe, a Bow Wow Trad who is called Satsuki (also after the My Neighbour Totoro character!). And that was it – I was hooked. Or you could say obsessed! I know you and an incredible group of people are behind organizing BlytheCon UK, which is happening on October 2nd, 2010, what can you tell us about your role in the event? When the idea of a UK Blythecon was first discussed last October by several of my friends on Twitter I was keen to be involved. The initial team of 3 (kidcrayola who’s idea the whole event was, Candy_Pop and myself, SakuraBlythe) got to work on planning a venue, date and brainstorming ideas. Unfortunately kidcrayola and Candy_Pop had to step down from the organising, but I decided to stay on, and had the offers of help I received were fantastic! We are now a team of 12, and my role is to organise the finances, merchandise, stalls and ticket sales. Let’s talk about the venue, The Jam Factory, what made this the perfect location for the first BlytheCon happening in UK? After much thought and research we decided that Oxford would be a great city to host the event, as it is fairly central, has good transport link both with London, Birmingham and the North of the UK, and is quintessentially English for those visiting from outside the UK. Candy_Pop was familiar with the Jam Factory which is an Art Gallery as well as a restaurant, and was able to secure the booking. The Jam Factory is a wonderful historic building, and was the perfect choice for us. 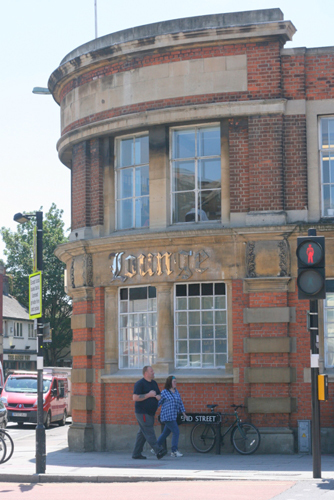 The venue for BlytheCon UK, The Jam Factory in Oxford. Photo credit: SakuraBlythe. I can see from the website that all of the stall spots have been filled – how much variation is there in the things that will be sold at BlytheCon in terms of types of items and what countries they’re from? Yes, the stalls went very quickly! There is a large variety of things being sold – from the expected Blythe clothes, to rerooting services and vinyl and plush collectible toys! A lot of the stall holders are from the UK, but we have stall holders coming from as far away as Italy, Spain, Portugal, Finland, Sweden, and France. There’s some great competitions taking place at BlytheCon, what can you tell us about how the ideas for them came about? We have several competitions running both before and at the event. 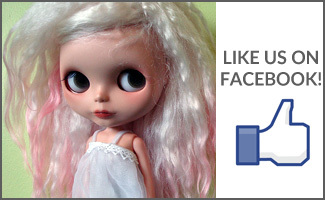 Firstly is the competition to have your Blythe/Blythes as the face of the event. This competition was thought by by Amy (Oh My Blythe) who is designing the posters and fliers. She thought it would be great to have delegates involved in this, so thought it would be the ideal way! People can submit a photo to her, and she will pick a shortlist which delegates can then vote on to chose the winner! This photo will then appear on promotional material. Secondly is the photography competition which is being organised by Sam (Mizkitty). Photography is such a huge part of Blythe that we wanted to celebrate that, and the amazing photography skills in the Blythe community. Delegates were able to nominate themes, which were then shortlisted and voted on, and the theme chosen was ‘Blythe in your country.’ People are now able to submit a photo based on this theme, and Sam and I will chose a shortlist of 10 which will be displayed at the event for everyone to vote on. There are 2 Look-alike competitions being organised by Jo (newartriotstar). Firstly is the ‘mini-me’ competition, where dolls need to look as much like their owner as possible. Secondly is the ‘Best film lookalike’ where dolls need to look like a character from a film. The idea for this competition came early on in the planning when we were asking people who were interested in coming to suggest ideas for what they’d like to see. A lookalike competition was suggested and had a lot of support. Then there is the Blythe Fashion Design contest. Originally this was based on an idea by Jaszmade of having a fashion show by the stall holders. But there was not a lot of interest, so Shelley (Haunts Hold) hit on the idea of having a fashion design contest open to everyone. She has made some fantastic mannequins to display the outfits, and people can vote on their favourite on the day. There will also be a raffle for larger prizes (we hope that if funds run to it, the main prize will be a Blythe) and a tombola for the smaller prizes. Profits from BlytheCon UK will be going to The Little Princess Trust, what can you tell us about the charity and why it was chosen? The charity we chose is The Little Princess Trust. They provide real hair wigs for children suffering hair loss due to cancer treatment. 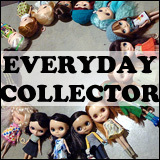 As Blythe collectors, we spend a lot of time and energy on our dolls hair. So when we were thinking of a suitable charity to support, this one immediately sprang to mind. Their aim, to help children and parents minimize the trauma associated with hair loss, which they have to struggle with on top of the terrible illness they are fighting seemed something that Blythe collectors would really understand and want to help with. Super cute BlytheCon UK button badges for the attendees! Photo credit: SakuraBlythe. BlytheCon is going to be so exciting, what are you hoping that people attending will get out of the event? Oh yes, Blythecon UK will be so exciting! I’m hoping that people have a fantastic day meeting people, making new friends, reconnecting with old ones, and learning new things. I have to admit, the opportunity to shop at so many wonderful stalls all at the same locations is something which excites me too! For those who have never attended a Blythe Meet, what kind of advice do you have for those attending BlytheCon UK or any other smaller Blythe Meet? I would advise anyone going to a Blythe meet for the first time not to be scared! Remember that we have this wonderful hobby in common, and these people are just friends you haven’t met yet. Its probably best to limit the number of dolls you take to a meet or larger event, as you want to be enjoying meeting other people’s dolls, not having your arms full of your own! I find 2 or 3 is the easiest number for me to cope with. Don’t be scared to talk to and approach other people either – they are probably just as shy as you feel, and will be over the moon to have someone to chat to. And remember that everyone was new to Blythe once, so don’t worry about asking people questions – people will be happy to help. Sakurako with the name badge holders for BlytheCon UK Photo credit: SakuraBlythe. Thank you so much for taking the time to do this interview with me, Jo! What has been the most challenging and most rewarding parts of organizing BlytheCon UK for you? Thank you for asking the BCUK team for an interview – its been a pleasure! The most challenging part of organising BlytheCon has been trying to make sure that as many shops as possible could have a stall. Due to the limited space in any venue we had to keep stall sizes small. Fortunately the stall holders have been very understanding and I think they’re as excited as we are! The most rewarding part of organising has been seeing the team pull together to make BCUK happen, and to see the excitement in the Blythe community about it. I hope as many people as possible can come, and people don’t let the fact they haven’t met many doll people in person put them off – just think after attending BCUK you’ll have met over 100 Blythe collectors! You can find out more about BlytheCon UK 2010 at their official website, the Facebook group, the Flickr group (be sure to share your photos from October 2nd!) 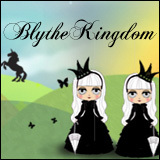 and follow the one and only BlytheCon UK Twitter account! Two things I love: Blythe and England!!! and just can’t WAIT to see the Blythe group photo!